Nothing beats the feeling of sun on your skin, the smell of the salty ocean and the wind in your hair while driving to one of New Zealand’s amazing beaches. 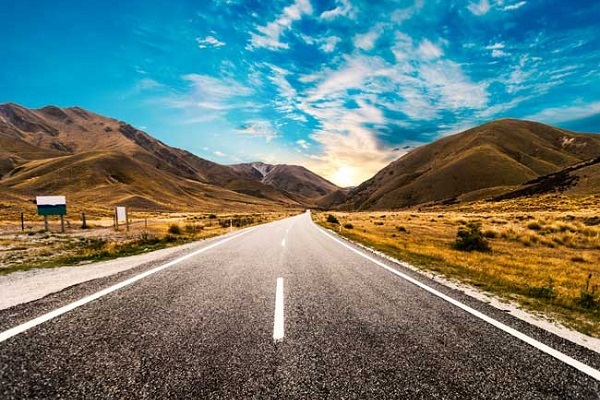 Road trips are a classic part of any New Zealand summer holiday and we have some handy tips to help you keep the costs down and the drivers sane during your summer road trip. Be prepared. Know which route to take to save time, check the road conditions so you know where the bad patches of road works are, always have a big bottle of sunblock in your car, have some maps in case you’re out of range for the GPS on your phone, and always keep towels in the car in case you stumble across a secret swimming spot. Preparing for unexpected situations can save you money spent in the moment! Reuse water bottles! It’s mind-blowing how much money is spent on water bottles that can be re-used. Instead of buying new bottles every time you go for a trip, keep old ones and re-fill them before leaving. By re-using water bottles you can stay hydrated on long trips, plus having spare water in the car is a great thing in case of car problems. Filling your car for the road trip can be a very painful experience depending on the price of petrol, but it’s also the perfect opportunity to use that growing pile of Fuel Discount Vouchers. The more you’re putting in, the more you’re discounted, so it’s a win win! Pre-pack your lunches. This way you can munch while you’re driving, or find a scenic picnic spot to relax for a while. It’ll save you lots of money, and if you pack healthy snacks they will keep your energy levels up for long drives, as well as giving kids something to look forward to when they are asking you if you’re there yet. Create a road trip playlist to keep everyone calm and pre-decide on music everyone likes/nobody hates. Know the frequencies of the radio stations everyone enjoys and where you’ll need to depend on a CD because of reception cutting out. Always check your oil and water before leaving. Know whether you have jumper leads, where the gear is to change a tyre, and if you have a space-saver or a proper spare tyre. That way you can organise it prior to having a mechanical disaster on the side of the road in the middle of nowhere. The roads this time of the year are covered in family cars full to the brim of assorted camping gear, and camper vans testing your patience, and how slow they can take a hill. It’s very important to be positive to other drivers on the road, and drive to the conditions as you’re far more likely to have an accident at this time of the year. So relax, enjoy some music and the beautiful scenery New Zealand has to offer. But most importantly, remember to have fun!